I did it! I'm an over-comer! =) I didn't yielded to temptation. Not even once! Although we haven't had sugar in our house for many years, it's that time of the year when I am the most tempted to eat a sugar-laden treat that I always regret later. It's the ONLY time of the year that I am really tempted to give into Reese's...And it's all because of those amazingly delicious Peanut Butter Eggs. But, for quite a few years now, I've been aware that these delicious treats come with a rather high price for me, because soon afterwards the headache and dizziness begins and I feel yucky. The pleasure never lasts very long and it really isn't worth it! But....I now have the perfect fix. Ahhhh! 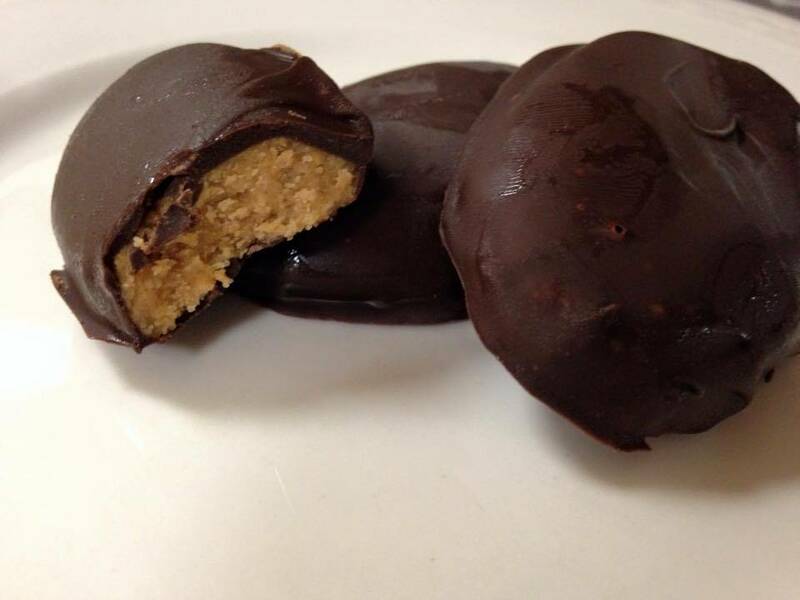 These peanut butter eggs are amazingly delicious, and they don't make me feel sick. They're easy peasy to make and only take a few ingredients so they are perfect for busy mamas who don't like to spend a lot of time in the kitchen. Mix the room temperature peanut butter with the salt and then add the powdered "sugar." Mix well. Shape into eggs and place on waxed paper. Make sure to freeze them immediately or they will spread out too much. Freeze them for at least an hour. Melt the chocolate chips in a microwaveable bowl (or stove top). Make sure to stir it with a whisk every few minutes. Don't over heat! Stir in the MCT oil to thin it, then dip the peanut butter "eggs" one at a time until just coated. Place on a cookie sheet covered with wax paper and put them back into the freezer or refrigerator. Enjoy!